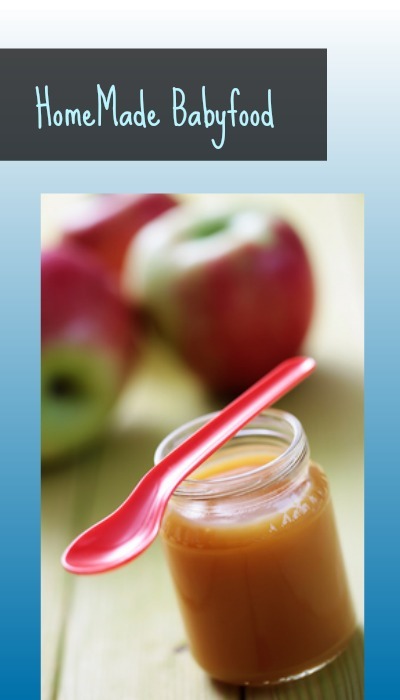 Home > Baby Deals > Save Money Making Your Own Baby Food! Making baby food from scratch might sound like a lot of work, but when you consider that most babies have a small diet, it’s not too hard. Making several batches of baby food to put up in the freezer can be a big time and money saver. It will never be free like some of the jarred baby foods, but one of the main benefits is that you know exactly what baby is eating. It can be really inexpensive if you have a plan! What are some good baby foods to make? Sweet potatoes, avocados, bananas, pears, peaches, carrots and peas are all simple foods to start making at home. If you find a good price on something, buy a little extra and make a batch of baby food! This is something you can start before they are eating, so that by the time they are ready for solids, you have produce from a variety of seasons! You can even just take a little of what your family is eating and puree or mash it. There are some fruits and veggies that you may want to focus on buying organic for baby. A good rule of thumb is for anything that has an edible skin. On the other hand sweet potatoes, avocados and bananas have low pesticide levels no matter how they are grown, so don’t throw your money away unnecessarily. For more specific ideas on how to save on organic produce and which foods to focus on, check out this earlier post. Don’t I need fancy equipment? The number one way to overspend on making baby food is to go out and buy a bunch of expensive appliances to do it. My goal is to focus on simple foods I can make at home with a steamer basket, oven and a blender or food processor. For storage – freezing them into ice trays and popping them into freezer bags or square containers is the easiest way I’ve found. A lot of my mom friends love this square Tovolo ice cube tray because each cube is about 1 oz and they stack really tightly in the freezer. Really any ice cube tray will do. You might think you need a recipe for making baby food, but it’s really straightforward: Wash your produce and steam, boil or bake the fruit or vegetable until it’s soft. Remove pits, skins and seeds and then puree in a food processor or blender. You can add small amounts of water until you get the desired consistency. A major benefit of making your own baby food is being able to mix up the textures. Make completely pureed food for younger babies and leave some chunky or cubed for when they are older all at the same time! Just freeze separately and you have baby food to last a while. Publix has organic peaches on sale this week for $1.99 a pound. 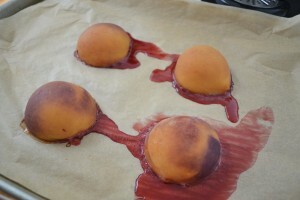 Wash the peaches, slice them in half, remove the pit and place the halves face down on a baking sheet. Bake at 400 degrees until soft and the skin to pulls away from the flesh (about 15-20 minutes). Allow the fruit to cool, then peel and puree in a food processor or blender. Add water until you achieve the texture you want! One pound of peaches will make approximately (14) 1 oz cubes of baby food. That is the equivalent of (4) Stage 2 jars of baby food, making it about 50¢ each. Do you have any tips or recipes to share for making your own baby food?